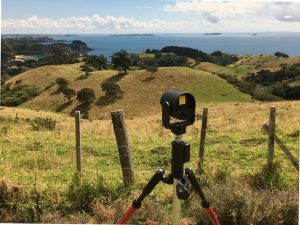 An application to subdivide Thompsons Point into 25 sections is stirring opposition among Waiheke residents. 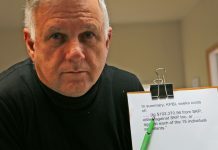 Colin Devine is a trustee for Answer Services Holdings Limited, which has applied to Auckland Council for resource consent to cut a 38-hectare rural block into 25 properties. 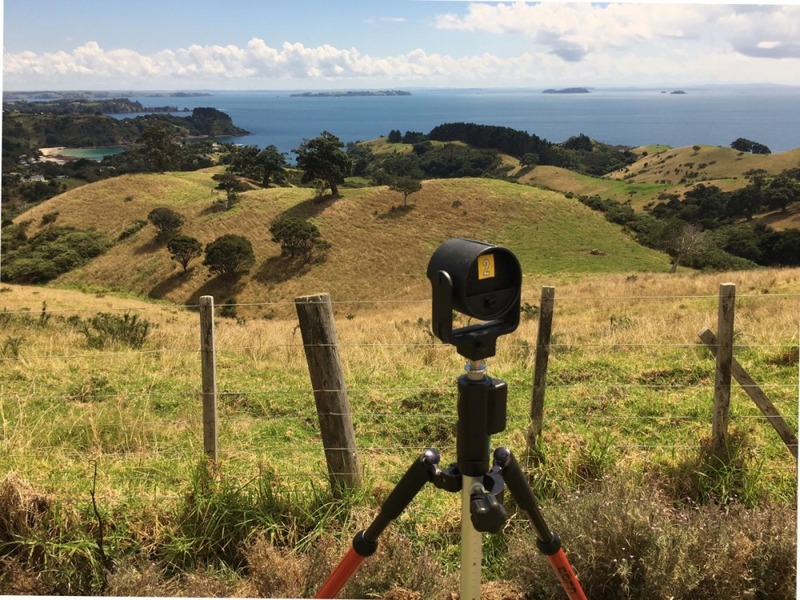 The subdivision plan is for an inland part of the headland that encloses the western end of Onetangi bay. The new sections would range in size from 0.31 hectares to 3.16 hectares. Separate applications would be lodged later for consent to build houses on the new sections. The land at 306 Sea View Road has rural zoning and Outstanding Natural Landscape designations over some areas. The block to be subdivided “is characterised by a major wetland system, steep hill spurs and slopes and nearby residential development”, the resource consent application states. Stormwater from the property drains into three gullies that flow into a stream running down to Boatshed Bay beside Palm Beach. The site contains four recognised archaeological sites, a midden site, two possible pits and two possible terraces. The subdivision plan aims to “avoid” or “minimise” interference with the archaeological sites, but a road would be constructed between two protected historic sites. An assessment of the archaeological, cultural and heritage impacts of the subdivision says the road would have “minor visual effects” and would “disrupt the link” between the archaeological sites. The possible pits and terraces are on two proposed sections and could be affected by future building on those sites. “It is considered likely that unidentified subsurface archaeological remains may be exposed during development,” the assessment states. Consultation with iwi over the plans is “ongoing”. Piritahi Marae representative Paora Joseph says there is an ancient pa site at the tip of Thompsons Point. “That’s a very powerful place that tohunga used to access in the past and do their karakia,” Mr Joseph says. He hopes the council will discuss the plans with iwi and preserve the archaeological sites “as a resource for future generations”. Mr Joseph and Palm Beach resident Rosie Walford say if the rural property is subdivided, the island will lose some of what makes it special. Ms Walford says it would be a “great sadness” if the “beautiful” rural landscape, visible from many parts of Palm Beach, was developed for housing. “The natural quality of the island in that area would be lost forever – 25 sections in that space will totally suburbanise it,” Ms Walford says. Peter Syred has lived on Sea View Road for 20 years and is concerned about the small size of the sections planned. “I don’t think anybody wants big greenfields broken down into 0.3 hectare lots,” he says. 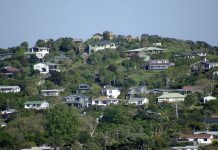 Building sites for houses on the land were negotiated in a 2006 review of the Hauraki Gulf Islands District Plan. The council will consider the subdivision as a “restricted discretionary” activity. The landowners have asked the council not to notify the public or neighbours about the application, but the council has not yet decided whether to allow formal objections. Ms Walford is encouraging people to contact the council to register their interest and call for the application to be publicly notified. Four private roads would be formed to access the 25 rural residential sections and a council road would be upgraded as part of the development. Earthworks for roads and a walkway are proposed over 8800 square metres of the block. 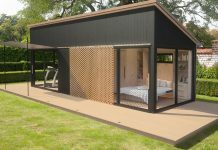 This will require special consideration by the council as it exceeds the area allowed on sloping sites. An existing walkway between Hill Road and the top of Crescent Road extension would be removed and a new walkway created to allow access between Hill Road, Crescent Road and Sea View Road. A wildlife assessment included with the application says the land is currently grazed by livestock, which have damaged the streams and “adversely impacted” on the habitat for aquatic wildlife. Stock would be removed and a ban on cats is proposed within the subdivision to protect wetland birds, which include the threatened spotless crake. Some pohutukawa trees on the property are more than 150 years old, giving them “high ecological value”. About 64 square metres of kanuka would need to be cleared for the roads and building platforms, but these would largely avoid the mature native trees. • Rose Davis.